while heavily anticipating spring and all the beauty that surrounds us during this spectacular season, i have received an invitation from my friend suzanne to join a blog tour. i had just gotten home from a big trip to oregon and washington and was feeling a bit overwhelmed getting back into the swing of things at home, but said "yes"! i am honored to be part of this virtual blog tour and look forward to seeing where it all goes. wow, this is such a loaded question! what am i not working on?? so, i'm working on cleaning out the refrigerator and trying to get a little more organized around my house and yard….fresh flowers in the gardens, my new bee hives, building a chicken coop for 3 chickens i am getting from a friend and much more. all of this excites me so and i am inspired in ways that keep me going creatively as well. so, seriously~~~ i'm working on (constantly it seems) to stay grounded and keep my focus on my dreams…..taking my art in new direction and building on the foundation which i have been working on for so long now. i'm working on staying dedicated to such things as my yoga practice when all else seems to get in the way…..balancing taking care of me while also raising a family, being a wife, and doing all the things we all want to do. i'm simplifying. and working on sustainability. and trying all the while to keep the little voices in my head from bringing me down, as they often can when all is going so great. i am teaching, learning and beginning in many ways to find myself. i create to keep myself afloat. from a young age, i kept journals, sketched on anything i could find and was constantly making things….whether it be macrame, pinch pots, pillow cases with little needlework, knitted scarves, prints with potato stamps….i was always creating something! i create because i have to. 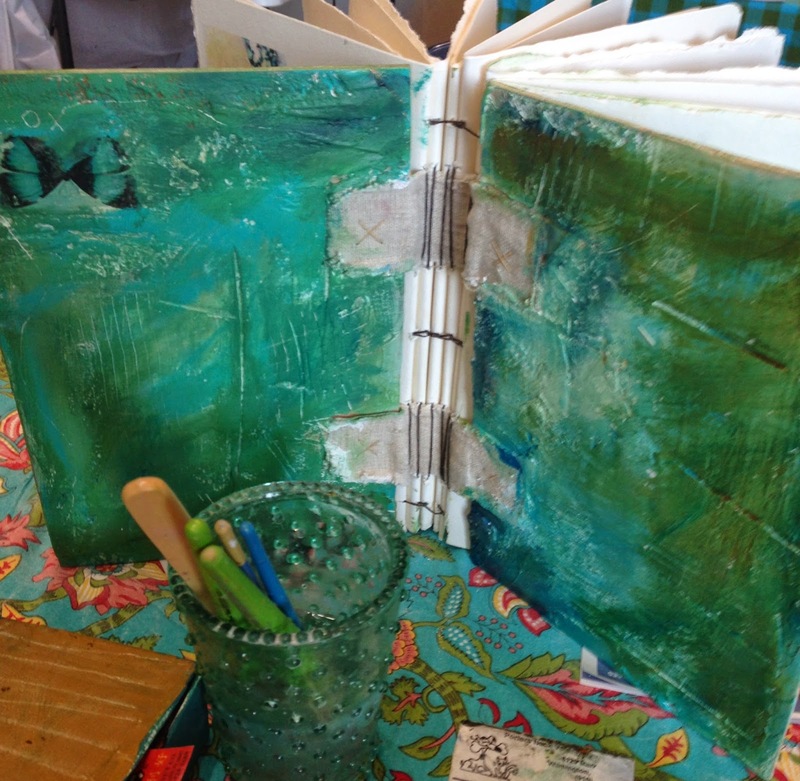 i want to document this journey, so i work in my art journal everyday. i often wonder what will happen to them when i am gone from this little life…and imagine my daughters sitting down with my journals one day, as i have done with my mom's journals. 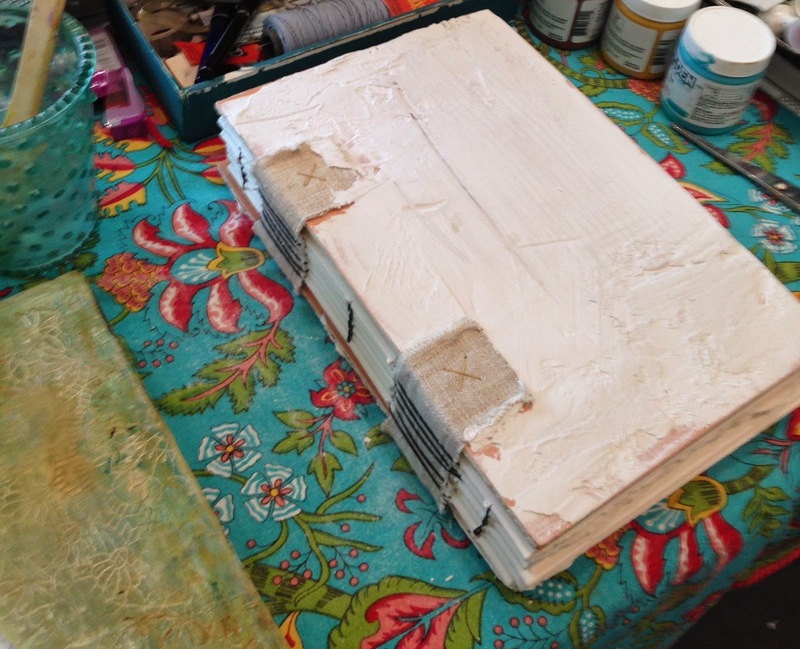 etta's journal with a little bird house tucked into the plaster and the beautiful texture she created. we had a great time teaching this class and will offer it again in the fall. 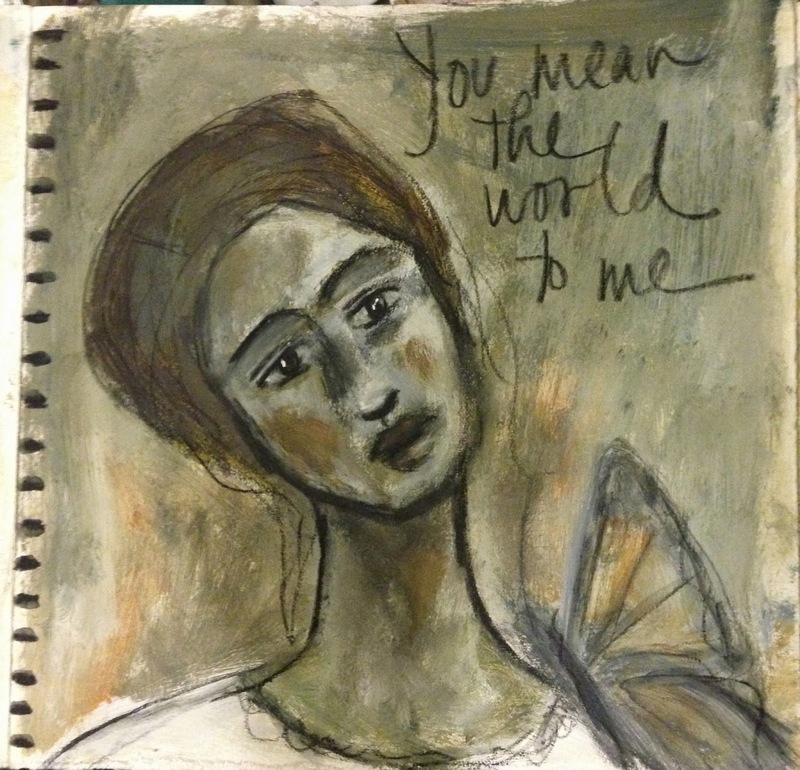 i am also working on an online class and will have more info. in the near future. as for the blog tour……i have asked a few friends to participate and they have declined due to the time constraint and the awesome things they have going on that are keeping them busy. so, instead of saying that it stops with me, i would love for any of you reading to join in and just leave a comment on my blog with your blog site listed !!! all you have to do is answer the questions i have answered and then ask 3 others to do the same. they will answer the same questions a week later than you and you will list their blog addresses on your blog! it's simple and fun! join if you feel you have the time and would like to share your story. embrace all of your moments that add up to this thing called life.. Thanks for sharing, Kim, you have a kind and gentle spirit. It is fun to hear more about your journey and see your creativity. 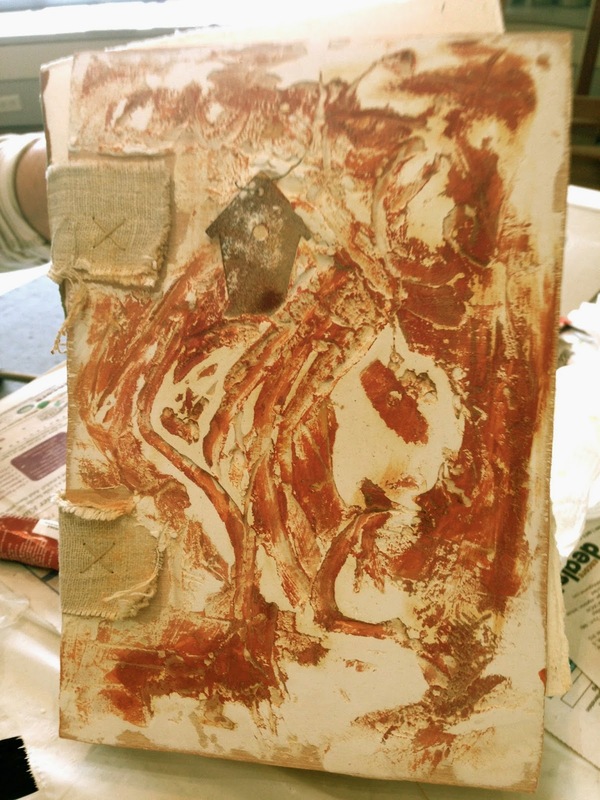 The plaster journals are really cool, love them and your art. Thanks again for sharing.